Life Pacific’s internship program is designed to offer students experience-based, hands-on training in a student’s desired field under the skilled leadership of a seasoned mentor. Pastor Michael Van Proyen at Kings Way Foursquare Church in Sequim, Washington has hosted Life Pacific interns at his church for several years now. “When interns first arrive at our church, I pray with them asking the Lord to deposit one significant Kingdom truth into their soul,” Michael says. He believes the intern partnership has proven mutually beneficial in every instance and the church he leads will continue to welcome Life Pacific interns for years to come. Student interns feel the same way. Ruby Flores is studying transformational ministry at Life Pacific and only knew a few people at Eastside Foursquare Church in Bothell, Wash. when she moved there for an internship with the pastoral team. She believes the experience gave her a fresh perspective on what ministry looks like and what it takes to reach people through local church ministry. A Biblical Studies major at Life Pacific, Aman Kasai says his internship experience at Water of Life Community Church in Fontana, Calif. provides him with practical tools needed to manage conflict, preach consistently, disciple students towards a more abundant life with Christ, and organize events. “I now have the knowledge to help others in their faith, and I have the hands-on experience to understand how to minister,” Aman says. “We value the next generation and want to develop their abilities to reach the world for Jesus,” Life Pacific Director of Calling and Vocation Joshua Ortega says. Based on 2 Timothy 2:2, Joshua believes in the calling of these students to reach and teach others. More, he believes in the need to equip them with practical experiences so they can completely apply what they have learned. “Life Pacific internships provide practical partnerships offering students valuable experiences and passing on knowledge and skills from seasoned leaders and organizations,” Joshua says. Additionally, internships at Life Pacific are designed to develop the whole person through establishing a lifestyle of spiritual formation and self-discovery. Through her internship at Eastside, Ruby learned how to approach weekly ministry, apply the tools she has learned in class, and accept the responsibilities of helping lead effective ministries through the local church. Aman says he has internalized discipleship skills and a love for studying the Bible that will serve him well for the rest of his life. Dating back nearly 20 years, LP alum Karen Hyde developed Life Pacific’s first formalized internship program as part of a capstone project for her master’s degree. Later, Elizabeth Ingrum, then Director of Ministry Formation, formulated course requirements helping to expand the internship program across additional majors. Today, Joshua Ortega and Program Coordinator Kristina Stover help students in every degree program find internship opportunities that will add value to their college education. They make connections with businesses, non-profits, and Foursquare district offices and churches with a goal of giving students more internship options than ever before. This year’s Internship Fair in February saw almost double the amount of host sites signing up than in previous years. This is because employers view internships as valuable experience on resumes and for job candidates they are considering for employment. A growing number of organizations are interested in providing diverse experiences to better prepare them for the marketplace and how to function successfully with various styles of operations. God is using Ruby’s internship experience to make the most of her education. 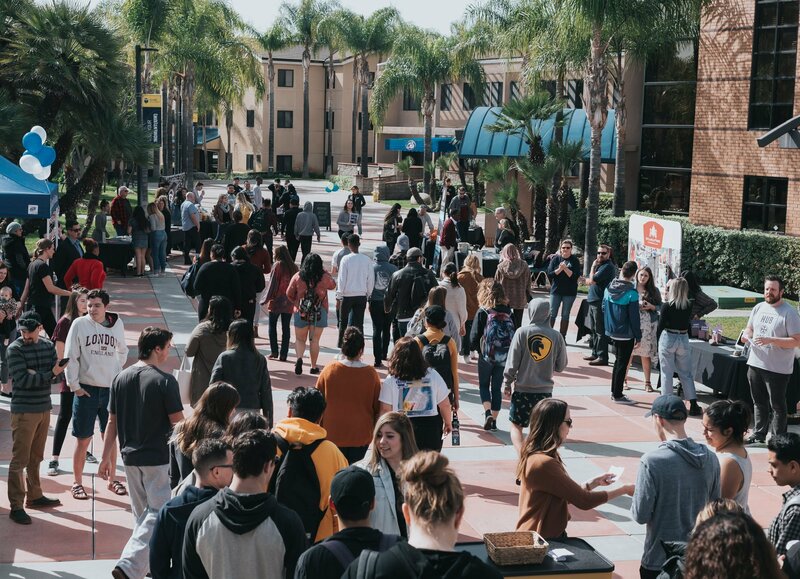 If you would like to become a host site, agency, or location please let us know by contact the Office of Calling and Vocation Director Josh Ortega at jortega@lifepacific.edu or 909.706.3051; or Program Coordinator Kristina Stover at kstover@lifepacific.edu or 909.706.3050. Click here to learn more about the Office of Calling & Vocation.